PBGS: A funny thing happened... we open next week! A funny thing happened... we open next week! Not long now! We can't wait to present this show to you - hilarious farce, mistaken identities, conniving slaves, dancing courtesans, love, lust and wonderful Sondheim music. 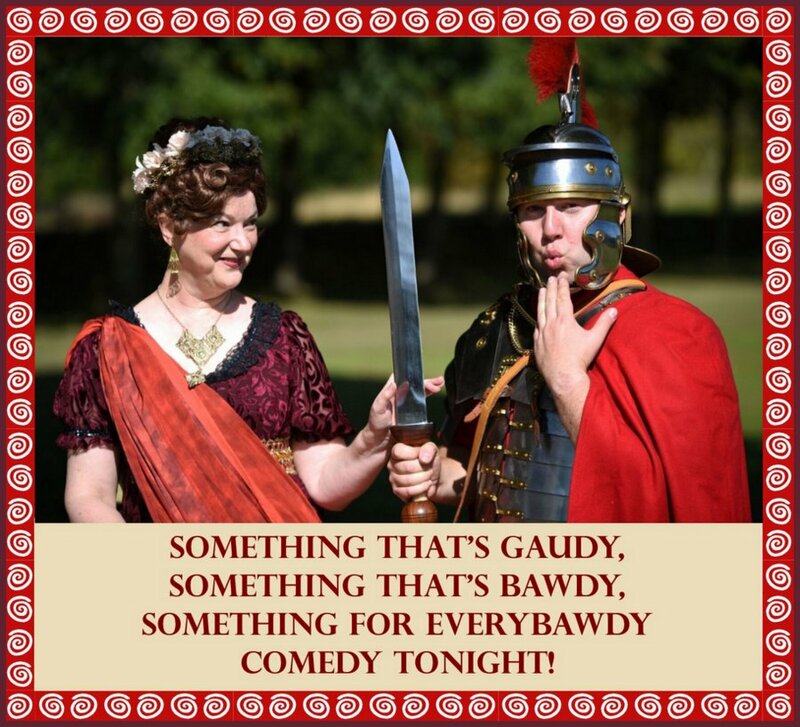 It really has 'something for everyone, a comedy tonight'! Our cast have worked very hard and are hoping all our PBGS regulars will support us. And tell all your friends because this will be a great night out. Forum will be on at The Queen Mother Theatre in Hitchin from 4th - 7th October. Tickets are still available, especially for Saturday night. Click the 'Buy' button below to be sure of your seat.